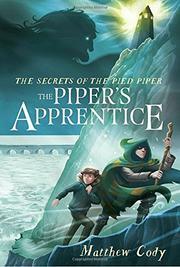 Thirteen-year-old Max and her brother, Carter, are trapped on the enchanted Summer Isle with the misdirected Pied Piper, the evil Grannie Yaga, and the lost children of Hamelin. The siblings are separated and fighting their own battles. Carter, whom everyone believes to be the prophesied last son of Hamelin, practices magic with the erratic and unstable Piper. Meanwhile, Max has enlisted the help of some of the inhabitants of New Hamelin to fight ogres, escape witchcraft, and reunite with her brother. But magical creatures and evil witches are only part of the problem. The Summer Isle is changing—and not for the better. If Max and Carter are to escape the island, thwart Grannie Yaga’s plans, rescue the children of Hamelin, and restore their parents’ souls, they will need their friends’ help: human, trollson, spirit, and elfling alike. Fans of the series will enjoy the fast-paced, magic-filled conclusion to the trilogy, while readers unfamiliar with the siblings’ adventures will be grateful for the abundance of summary offered in the early chapters. The clever retelling of a familiar tale neatly blends modern preteen angst with plenty of high-stakes magical adventuring. Diversity is found mostly among the nonhumans; Max and Carter are white.